"First I wanted to say thanks for the article on widening your back. 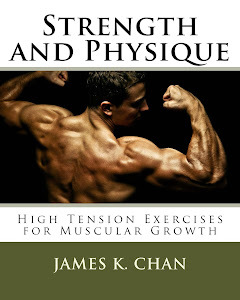 I just read it over, and yes it looks brutal, but that's what I'm looking for in some back exercises. I only have one question and it might seem dumb, but are the 4 different techniques meant to be all on one workout or are they meant to be separated? Currently I'm doing my back exercises on Wednesdays with 3 sets of 3 techniques. Should I take one of these techniques and sub it into one of my current techniques, or should I drop the 3 I do now and use all 4 of your techniques? Simple, maybe dumb questions, but I thought I'd go right to the author for some info. 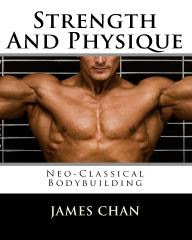 I've been really dabbling into bodybuilding for the past few months and have loved all the information I've found. I've learned a lot and I know I still need to learn A LOT more. I've lost about 35 pounds since April 2008. Thank you in advance for you assistance,"
I just wanted to say that I have been following your mesocycle program [from Volume Two] and have seen excellent results after just a few weeks. I am in week 5 now and my shirts are all of a sudden much smaller! I have been lifting for 5 years now and have never had results so quickly. Thank you! My Answer: I'm happy that you like the program, Dan. 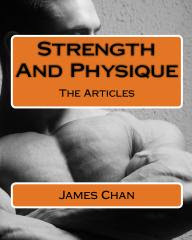 Strength and Physique, Volume Two is a very tough program, but those who follow it to a T will be rewarded with newfound size and muscularity. I inquired before about the 10-8-6-15 training, and I'm planning to use it again in the gym for mass building. I just enrolled in a gym (before I just worked out at home). I would just like to clarify: if I have 3 consecutive days off (Monday to Wednesday), then how would I use the ectomorph training? I mean, I would like to work out on those 3 days, or at least 2 days, but my work schedule is crazy sometimes. As much as possible, I would like to maximize those days off as workout days. One more thing sir, if I work out at night, is it healthy for my muscles to work out the next day in the morning or day time? Thanks sir! I really respect your teachings! "Questions about routine: Should I avoid cardio altogether? When should I do ab workouts? Should I avoid dips, box jumps and deadlifts? I weigh 150lbs. How much calories should I be looking to eat per day in order to achieve growth?" My Answer: Let me guess... you don't believe in introductions and foreplay with women, huh? As much as you can ingest without throwing up.